The Ginetta GT5 Challenge is a single make racing series based here in the United Kingdom. Races are scheduled as support for the prestigious British GT and Formula Three Championships, it is an avenue into top level racing and highlights from every round will usually be shown on television. The Ginetta GT5 Challenge is suitable for all ages and levels of race experience and is widely known as the breeding ground for future professional drivers. If proof of this were needed then take a look at Lando Norris who finished third in the Junior Championship back in 2014. He is the current FIA Formula Two vice-champion now lining up on the Formula 1 grid with McLaren. 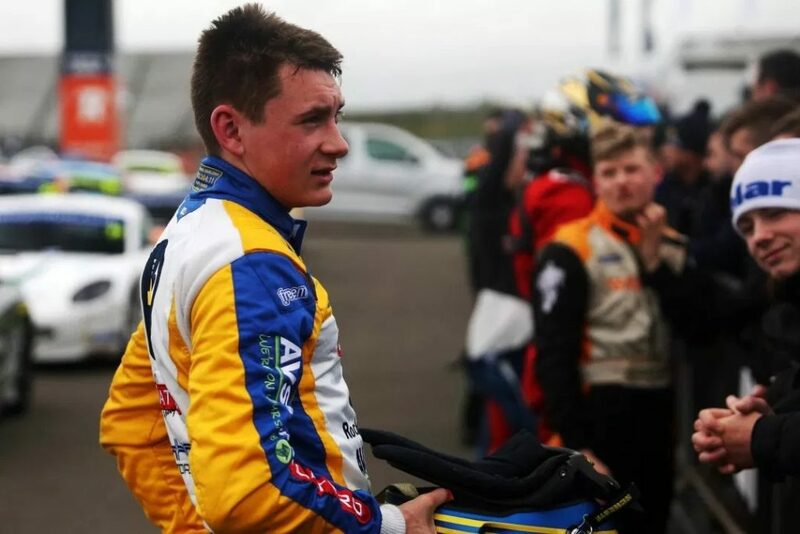 This year we are again proud to be sponsoring the young and hugely talented Scott McKenna, Scott is fast progressing along the road to becoming a professional GT and Endurance racing driver. Since an early age Scott has honed his abilities and car control skills with the family’s Ice Driving business in Scandinavia every winter; driving on frozen lakes, developing his relaxed in car attitude and instinctive reactions that now prove to be his key assets. Founded in 1958 by the four Walklett brothers, Ginetta has a long and successful history of producing hand built road and race cars. By the time it was acquired by Lawrence Tomlinson in 2005, it had gained a reputation as one of the most renowned British heritage race car brands. Taking the lead in British race car manufacturing, Ginetta is putting the UK at the heart of world-class motorsport, selling cars across the world and training the brightest stars in motorsport. Ginetta offers a genuine route for progression from entry level competition, right the way through to international motorsport platforms. Our unrivaled motorsport ladder has taken drivers from their first race aged 14 into international racing stardom. There are 19 races over the course of 7 race weekends throughout the year. The season kicks off on the 9th April where all of the teams meet up for the first time with the first races taking place on the bank holiday weekend of 20th to 22nd April. Championship Launch Day for the GT5 Challenge at Snetterton. GT5 Challenge at Oulton Park in Cheshire alongside the Blancpain British GT and BRDC British F3 Championships. GT5 Challenge at Thruxton in Hampshire alongside the BTCC. GT5 Challenge at Silverstone alongside the British GT Championship and Silverstone 500 Supercar Sunday. GT5 Challenge at Donington Park alongside the British GT & BRDC British F3 Championships. GT5 Challenge at Zandvoort in the Netherlands as part of the British Race Festival. GT5 Challenge at Snetterton alongside the BTCC. We're really pleased to be working with Scott again this year so stay tuned to the WatchGecko online magazine and our social media pages for updates on Scott's races and for special offers and promotions throughout the 2019 GT5 season.